Add a touch of glamour to your look with the Alma en Pena star embellished boots. Beautifully crafted from soft suede uppers, the boots offer practical style with a round toe, side zip fastening and fleece lining for a cosy fit. 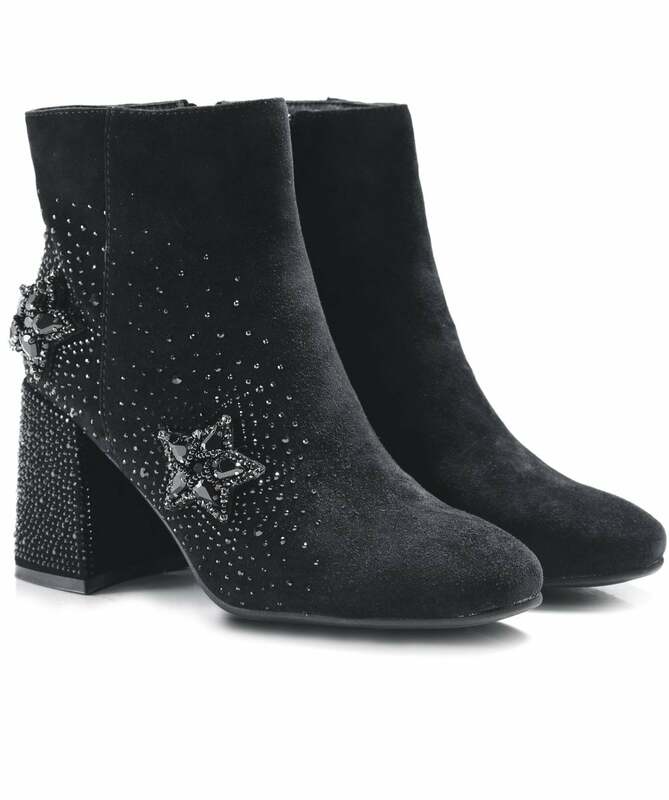 Featuring an embellished block heel and jewelled star embellishment for a chic edge, these boots can easily be styled with black jeans for a transitional day-to-night look.